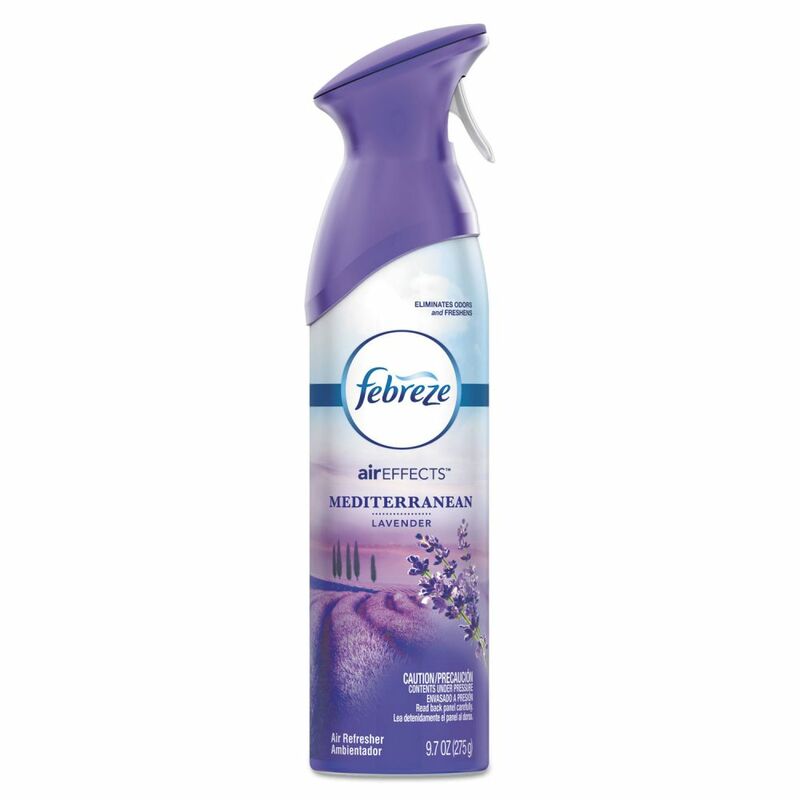 Febreze Air Effects Mediterranean Lavender Spray 9. 7 oz (275g). Febreze Air Effects is like a breath of fresh air any time because it actually sweeps away those stale and stifling odors and leaves a fresh scent. Febreze Mediterranean Lavender Fabric Refresher 16.9-oz.